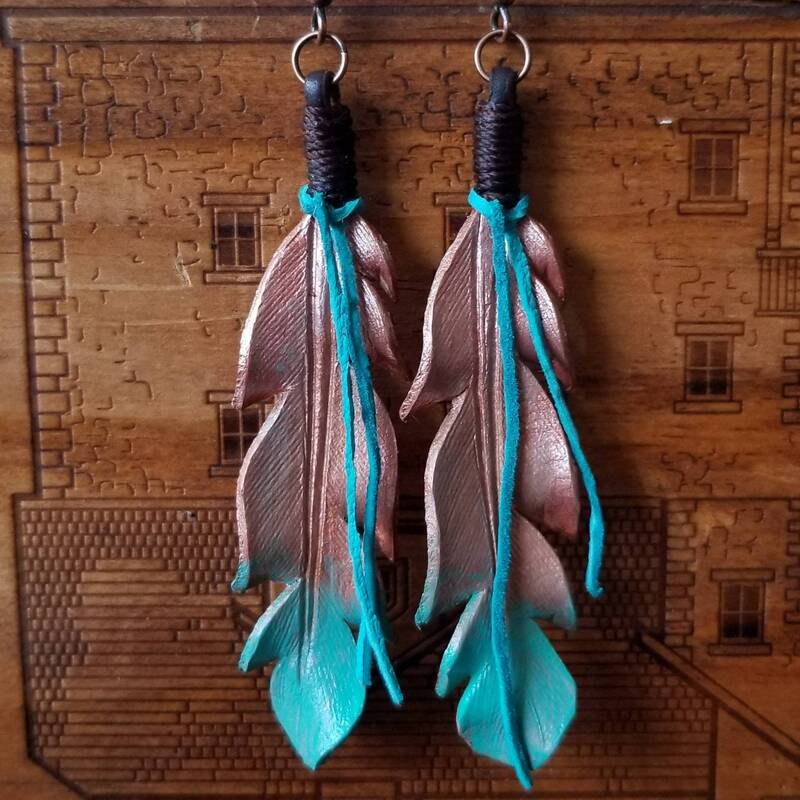 The most perfect desert inspired color combination are the inspiration for these gorgeous leather feather earrings. Crafted from leather, the feathers are hand-cut and tooled before being wet formed to create their beautiful shape. 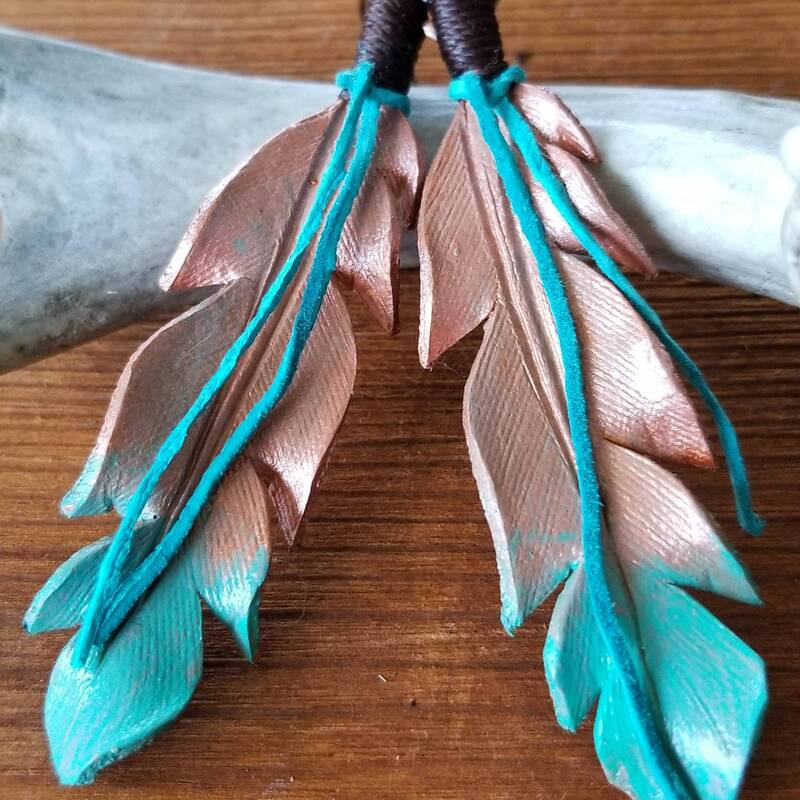 After drying the leather has been hand-painted in the most classic of color combinations, turquoise and copper. 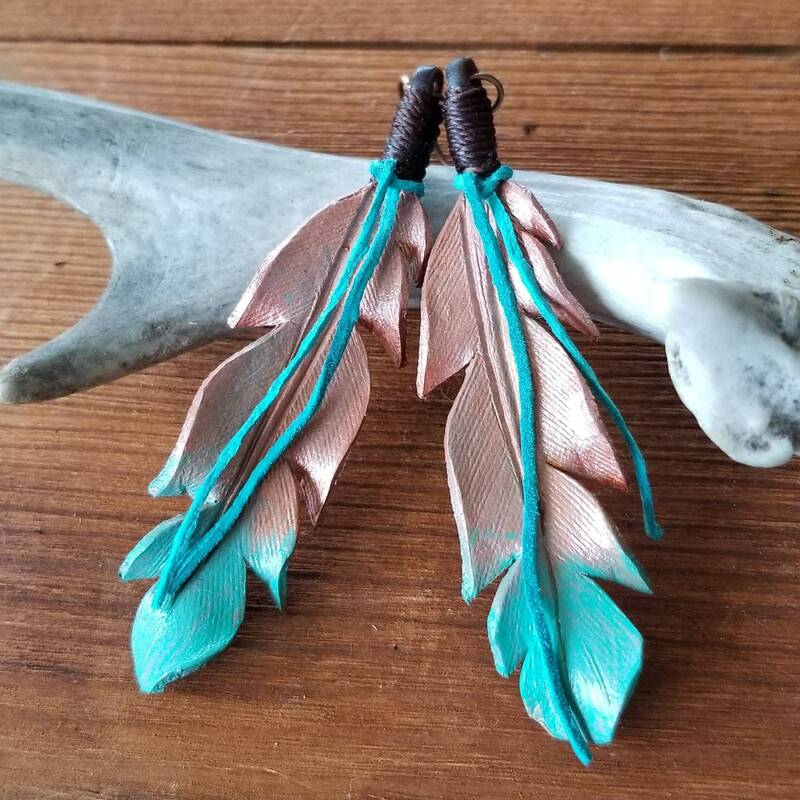 These 2.50 inch long earrings hang from antiqued copper earring wires.